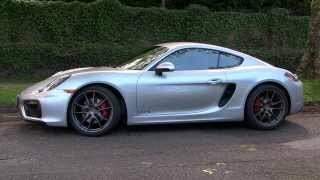 Porsche Cayman GTS is one the most powerful and fastest mid-engine sports models from Porsche. 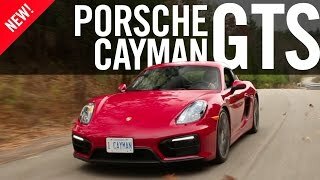 The six-cylinder boxer engines in the 2015 Porsche Cayman GTS is based on the 3.4-litre engine from Cayman S.
The engine fine tuning is delivering an additional 15 hp in the new car. 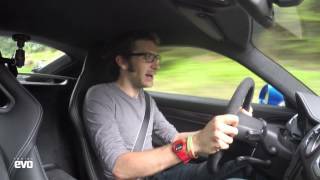 Which means, the 2015 Porsche Cayman GTS delivers 340 HP of max power. 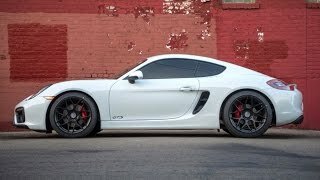 The new Cayman GTS sprints from 0 to 100km/h (0-62mph) in just 4.6 seconds and has a top speed of 285 km/h (177 mph). The new Porsche Cayman GTS combines top driving dynamics with the typical Porsche spread with undiminished ride comfort and exclusive features. For example, the combination of PASM and the Sport Chrono package as standard enables the driver to switch between progressive sportiness on the one hand and long-distance comfort on the other hand at the press of a button. The tyres measuring 235/35 at the front and 265/35 at the rear on 20-inch Carrera S-wheels provide the perfect setup. The two-seater 2015 Cayman GTS comes with sports seats and leather interiors as standard. Like other GTS models from Porsche they are refined with Alcantara elements. The new 2015 Porsche Cayman GTS will be launched in May 2014 and will set you back by €73,757 in Germany.